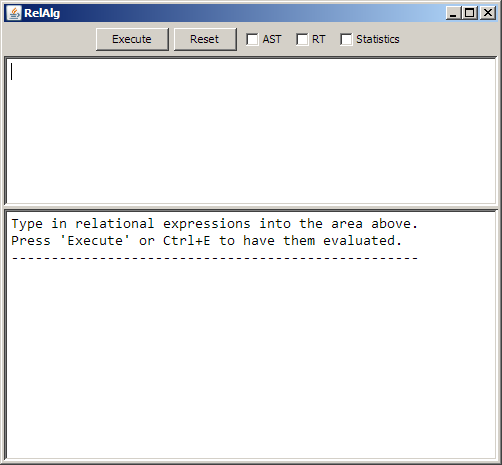 Purpose: RelAlg is a Relational Algebra system that interprets relational expressions. 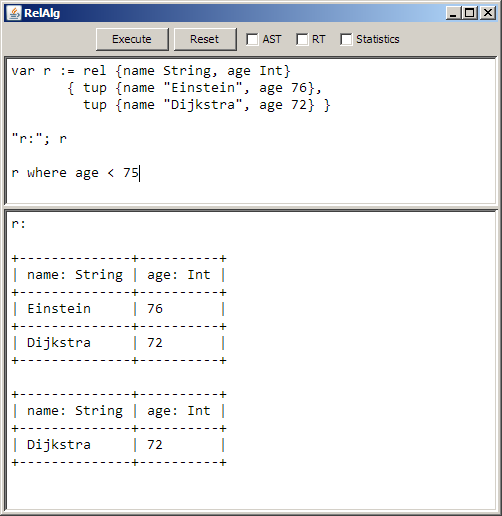 Syntax of the input language is similar to Tutorial D.
Precondition: Java 6 (or above). Simply start the JAR-file in your preferred way: per doubleclick, via context menu "Open with Java ...", or per console command java -jar RelAlg.jar.